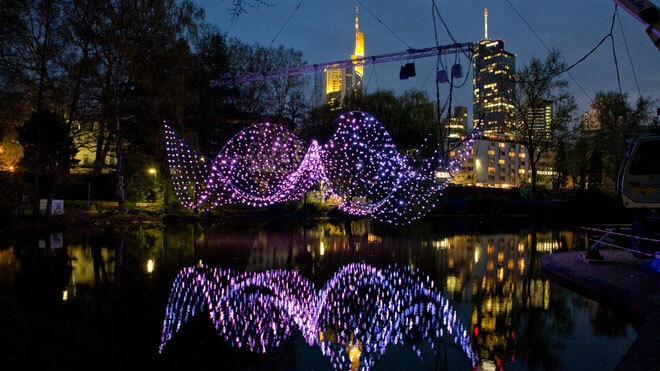 “hive” is an interactive light installation in the form of a light swarm which apparently weightlessly hovered above the pond behind Frankfurt’s Old Opera, created by Interior Designers and Communication Designers of the FH Mainz as a transdisciplinary project for the light festival “Luminale” in April 2010. 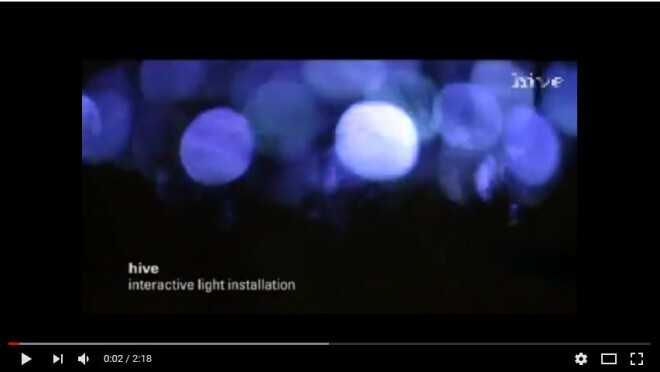 Via an interactive platform, visitors were able to communicate with the installation. The “Luminale” is one of the largest international festivals of light culture which takes place bi-annually to coincide with the world fair of light — Light + Building — in Frankfurt/Main. Award “Communication in Space”, Design award Rhineland-Palatinate 2010.